The Storm Chasers were present throughout the Omaha Metro community in the month of May, which kicked off on May 2 with a Children's Hospital Visit from Storm Chasers pitchers Malcom Culver and Jonathan Dziedzic, followed by classroom visits at OPS Virtual Learning over a three-day period between May 9-11. One day later, Chasers Charities presented a Chasin' Dreams Grant to the Central Omaha Legion Baseball Association for over $1,100. 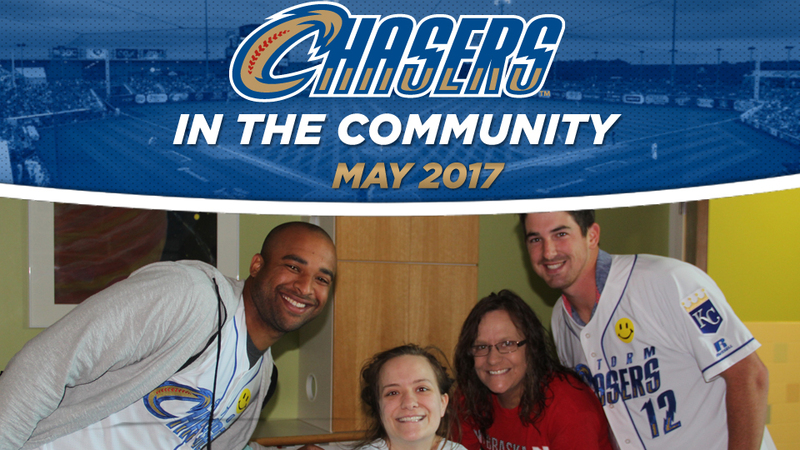 In addition, the Storm Chasers' front office staff totaled 34.5 hours of community service throughout the month of May.